Despite the cheesey sign, this place is completely yummy. On our way back east there was a night spent in New Orleans. In less than 24 hours we took in a classic dinner, po’ boys for lunch the next day with bread pudding and beignets squeezed in between not to mention a fair amount of bourbon. Enough with the wine we were in New Orleans after all bring on the cocktails. Dinner was the highlight of our tour of gluttony where I had Shrimp Tchefuncte from the Palace Cafe. I can’t even describe it because broken down into its individual ingredients it sounds rather average and it is not average. So a couple bites into this dish I’m panicking. Can I recreate this? I must have this in my life and often! With no plans to live in New Orleans (although that is one solution) I was filling a little desperate. A quick internet search came up with both the recipe and a little history about the dish. 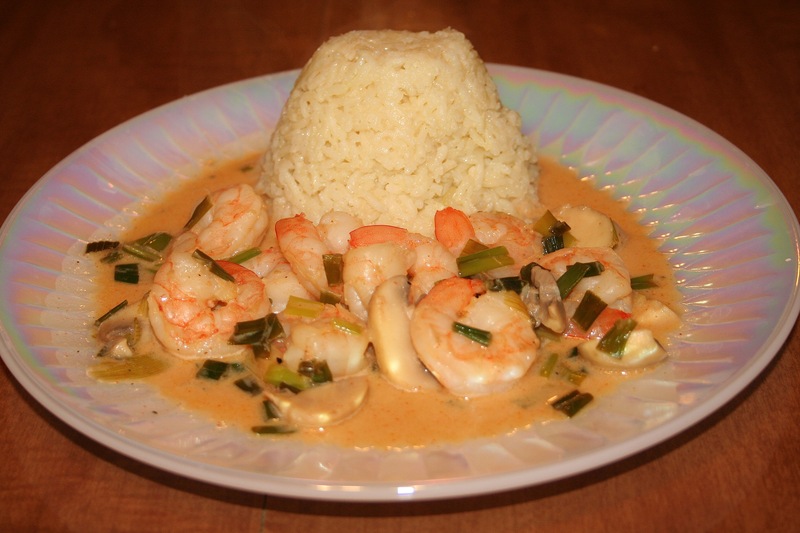 I’ve tackled Shrimp Tchefuncte twice now and while it doesn’t match the real thing…it is my current favorite for savory spicy comfort food. Try it for yourself. Jill's take on the Palace Cafe classic.